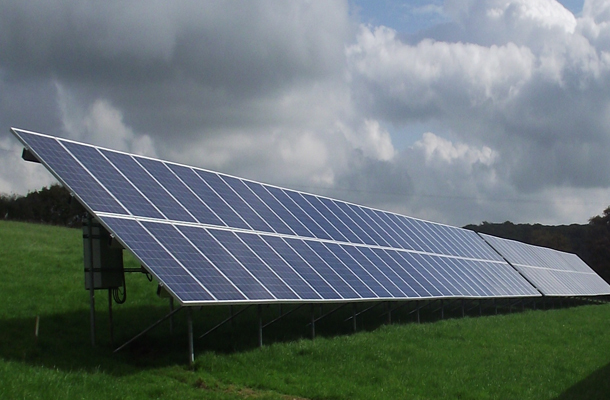 The krinner ground screws were used to install a 50kWp solar PV array in challenging conditions. The solar pv arrays needed be installed on a 10° sloping field in which we encountered large granite boulders. Our solar pv installation team dug the system neatly into the slope of the field to keep the panel heights successfully within the planning approval.